Hi everyone. I am so excited to share these Coconut Key Lime Cookie Bars today because I made them in celebration of a very special event. My friend Zainab over at Blahnik Baker is expecting a baby!! So a bunch of us food bloggers got together to have a virtual baby shower in Zainab’s honor! You need to go check out Zainab’s site! It is dedicated to yummy recipes that often feature a tropical theme. You’ll also get fashion advice as Zainab has a great sense of style. 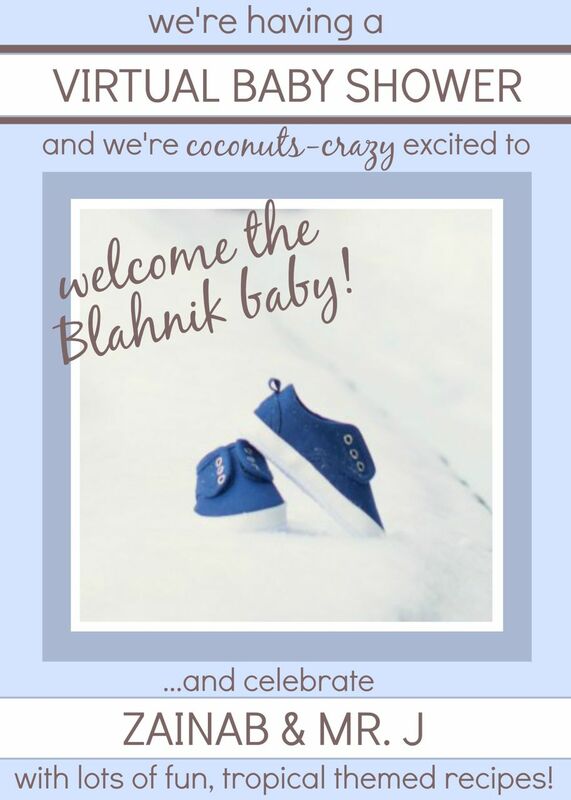 When you head over to her site, Blahnikbaker.com make sure to tell her “congratulations” on her upcoming arrival! So for Zainab’s virtual shower, I decided to bake up a batch of Coconut Key Lime Cookie Bars. Zainab loves both coconut and key lime so I knew that this combination would make the perfect treat for her shower. These cookie bars come together very easily because I used a roll of Pillsbury refrigerated cookie bars as the base. The filling is creamy, cool, and flavorful and the coconut sprinkle topping gives just the right amount of texture on top of the smooth filling. There is very little prep work for these bars. 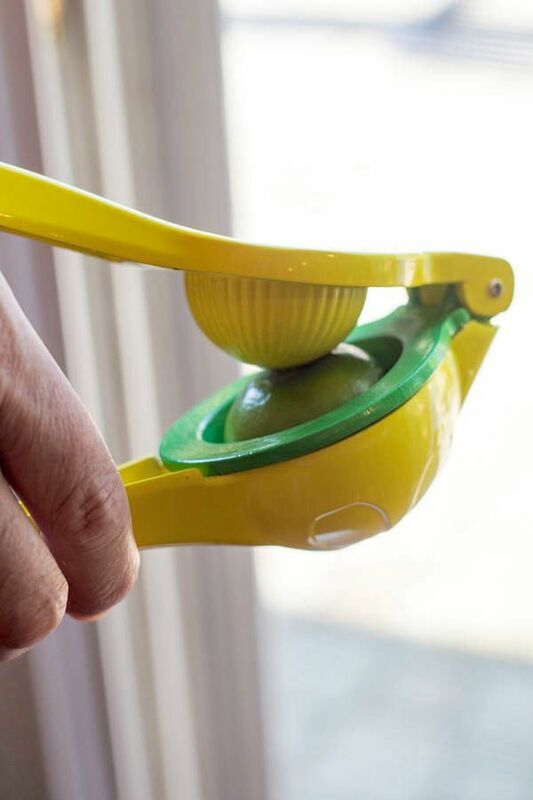 The only thing that would require a little bit of effort on your part is to hand squeeze a few limes. Which I highly recommend over using bottled lime juice because the flavor of freshly squeezed limes is far superior. A little hand tool like the Amco Squeezer shown above goes a long way in making your task easier and I highly recommend it. I couldn’t be more thrilled for Zainab and I know she would just love these creamy and tangy Coconut Key Lime Bars for her virtual shower. Make sure to head over to Zainab’s site and congratulate her yourself! Line a 9x9 baking pan with foil. Unroll the cookie dough and press it into the foil lined pan. Bake for 16-18 minutes. In the meantime, stir the condensed milk and lime juice together in a medium bowl. Add the drop of green food color, stirring until well mixed. Pour the lime mixture over the top of the hot cookie layer that you just removed from the oven. Spread evenly. 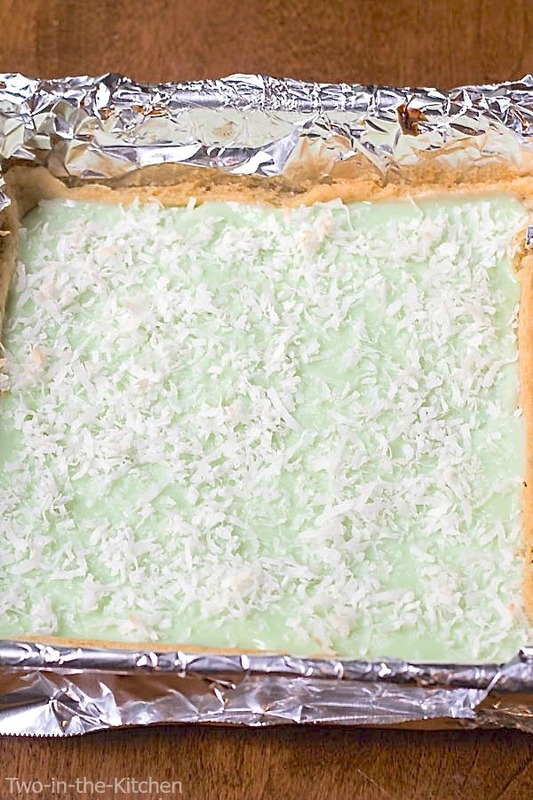 Sprinkle shredded coconut over the top and return to the oven for approximately 16 minutes longer or until the lime mixture no longer jiggles and the coconut is beginning to brown. Place the pan on a cooling rack to cool for 30 minutes. Loosely cover with foil and place in the refrigerator for at least an hour before serving. Now this is a summer dessert. 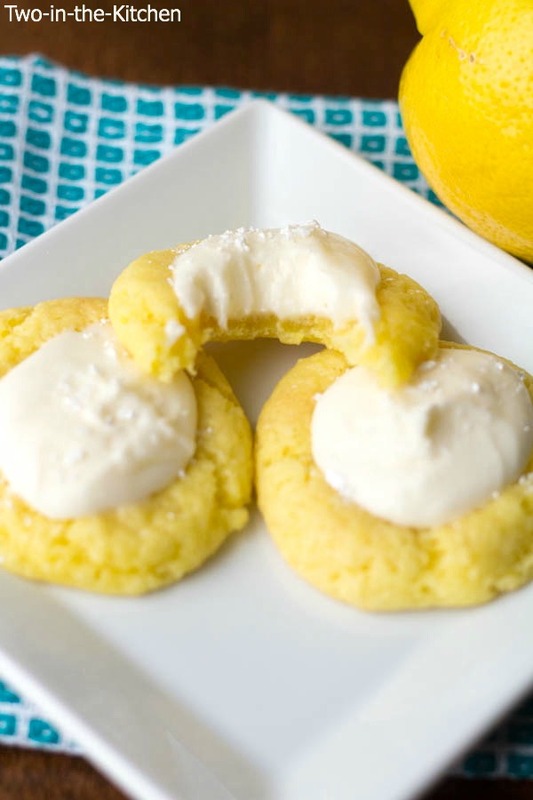 I like desserts with lime in them, as they are nice and light and fresh! What a fun dessert idea for her virtual shower! That squeezer looks like such a great device to have! These look amazing! Now these look incredible! Love the key lime and coconut flavors! Nicely done! Stopping by from the baby shower, these look amazing! These flavors are right up my alley, Renee — anything key lime and coconut is going to be a hit with me! They look delicious! I need to get my hands on that squeezer! These bars sound super yummy! Oh I love these bars!! Thank you so much for the shower and love 🙂 I can’t even begin to think of all these coconut recipes I am about to try!! Oh I love a good cookie bar! And if you can believe it, I’ve some how failed to make any key lime recipes so far this year. I gotta change that STAT! So glad we can celebrate Zainab today! I didn’t think key lime could get any better, and then you added coconut! These bars look incredible, Renee! I love the coconut and key lime combo! They’re perfect for Zainab and that squeezer sounds fabulous! These bars are so fantastic Renee! I just love how simple they are to whip up, and the flavors just scream Zainab’s name. Thank you so much for helping us to celebrate today! These look SO good! I just learned I like Key Lime Pie, but the addition of coconut would make it even better!! 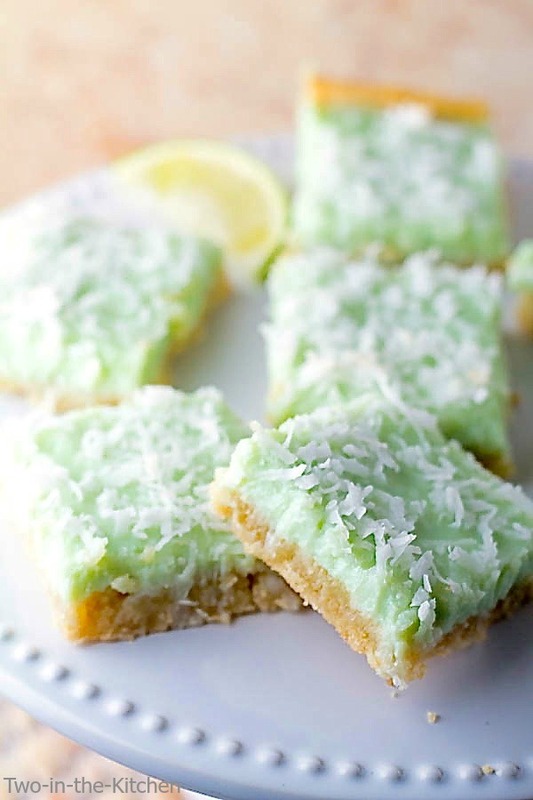 I’ll take lime bars over lemon any day! The color of yours is absolutely stunning! Yum! 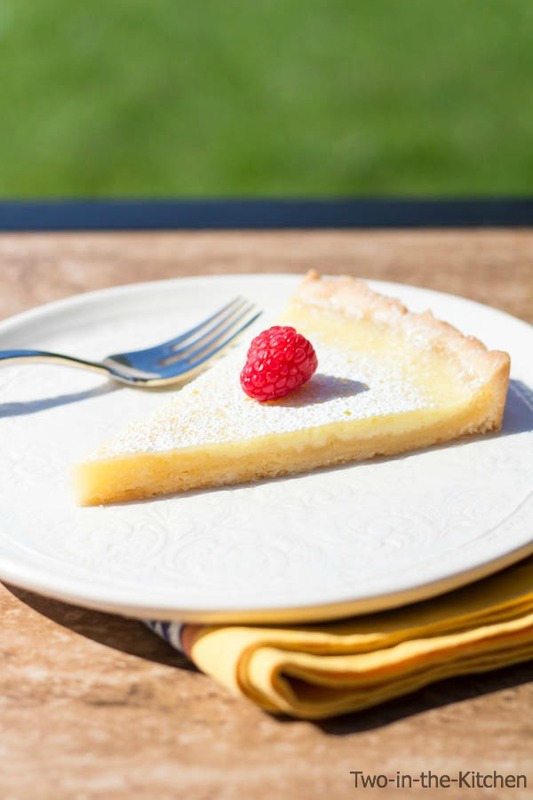 More key lime and coconut recipes…my favorite. Renee, thank you so much for joining the celebration!!!! 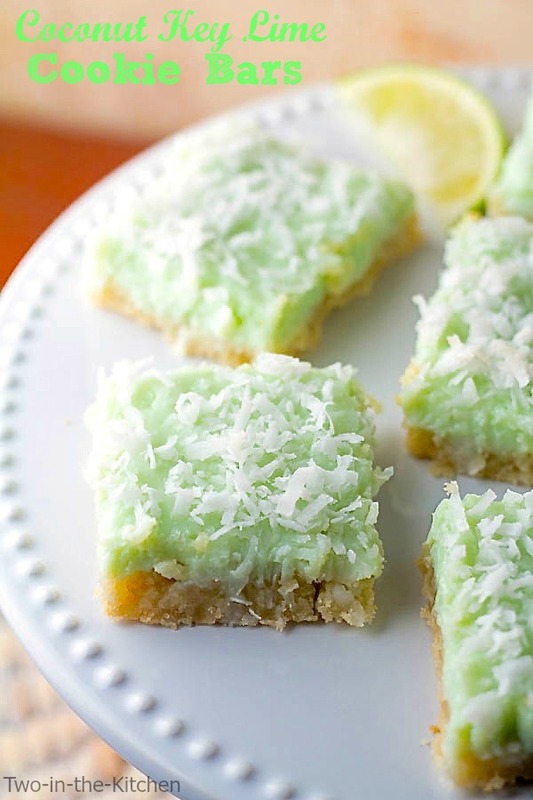 I LOVE these coconut key lime cookie bars!!!! oooh Zainab would def. love these bars!!! Renee, this is such a beautiful gesture! Virtual Baby Shower! LOVE it! Plus bars looks very delicious! yumm! These bars look so yummy! Coconut and Keylime go together so well! These bars are awesome – what a great color and flavor! Mmmm coconut and key lime, can’t think of better flavors during this time of the year! The bars look fantastic Renee! Wow, the color of this cookie bar looks great! !